Happy New Year to all my Tamil readers! In Southern India the New Year signals the start of the extreme heat to follow but here in Europe, Spring is in the air and a spring is in my step. We set back the clocks a couple of weeks ago and light streams into my home until late in the evening and the lake glints outside my windows as if diamonds were scattered on it. The French Alps that I see across the lake are still snow-capped but only the highest of them will remain so through summer. The quality of light has changed from the cool blue-greys of winter to brilliant warm light of the summer sky. The gardeners are busy everywhere, planting small flowering plants in the roundabouts and the flower beds which abound in the city. Today when I went for my morning walk I noticed that the first of the daffodils are out. Perhaps next week I’ll go out a bit further to see the fields of narcissus. The tulips will be out soon and like each year, I will set out to see the multi-coloured blooms. There is joyfulness in the air and I am infected by it. This phenomenon of an upward mood swing with the coming of spring is fairly common. In fact, there is a syndrome called seasonal affective disorder (SAD) which occurs during fall and winter, when the days are shorter, and goes away with the advent of spring. The chemistry of our bodies is an extraordinary thing, isn’t it? And the workings of our mind is even more marvellous. Just as light can affect the way our body works, and hence the mind, so too can music affect our minds, and hence our bodies. 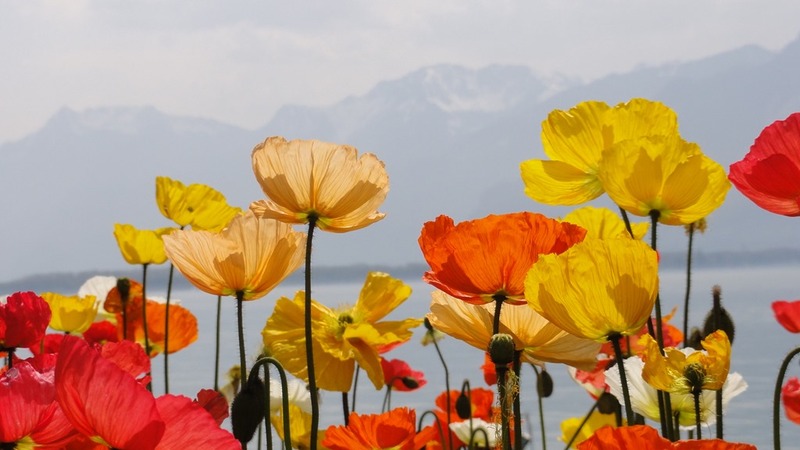 How do we bring Spring into our minds with music? Obviously with the Raga Vasanta which means Spring! I am always seduced by the elegance of this raga, it’s beautiful slides and upbeat mood. I have a recording of Sri Kamakshi by the violin maestros Ganesh & Kumaresh which stands amongst the most-listened in my music library. I must say that Vasanta sounds simply magical in their hands! Recently the maestros performed in Geneva. I had written an email to their website before their arrival, requesting that they perform Vasanta and they kindly obliged. I was delighted to hear Sri Kamakshi live; a week has passed and I am still in an ‘enhanced’ state! In this lovely and uplifting Kriti, the poet-composer Tiruvarur Ramaswami Pillai* refers to the Goddess Kamakshi as the embodiment of Music and begs her to come and remove his emptiness and loneliness. With this song, I too pray that the good Goddess, the very embodiment of vasantam (Spring), scatter away the emptiness and loneliness of winter and usher in the blooming of devotion and joy in my heart. If you would like to know more about this raga, click here. I present this fantastic rendition by the young geniuses on the violin, the Maestros Ganesh and Kumaresh. It is a radio recording and the sound quality is not the best but it is still superb (26 mins). For a vocal version, listen to Jon Higgins, our own American bhagavatar, singing this song with astonishing ease (6 mins). * There seems to be some confusion regarding the composer of this kriti. It is ascribed to Subbaraya Shastri in a number of places yet there seems to be a convincing case for those who say it is by Ramaswami Pillai. Without having real knowledge, I have opted to use the latter’s name in my blog. You who are all pervading as the One, you who provide prosperity and salvation to your devotees, my mother. You who are the essence of the Vedas and Agamas, you are the embodiment of music. Please come now and remove my loneliness and emptiness. (note: vaRumai means poverty but also emptiness and loneliness; the latter meaning seems more appropriate here). You are my support, the Goddess of Vedapuri. Have compassion for this servant of yours and protect me. In this world who can describe your glory, not even Vishnu or Brahma! There is no deity equal to you! In truth come and protect your son. Please give me the boon that I may not be born again O Lord! Even if I am born again, give me the boon that I do not forget your divine feet. O Beloved of Parvati ! Will my ties never break? Please come and bless me so that the sins of the past are removed, so that my mental anxiety comes to an end and I can attain your lotus like feet! It is Diwali day and I find myself in the centre of a Roman amphitheatre. I rotate slowly, taking in the magnificence of the stones around me. 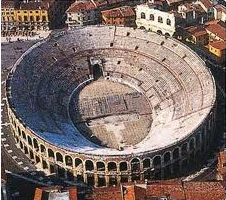 We are in Verona, Italy with our friends from India for whom we are playing tour-guides. We have been here before; we had seen a performance of the opera Aida a few years ago. At that time the arena was overflowing with people, today there are just a couple of tourists besides us. In the quietness which surrounds me, I am deeply aware of the past. These stones have held their place for 2000 years. They have seen gladiators come to a gory end, knights jousting, actors performing and bulls bleeding their hearts out. Today as I stand before them I wonder, what was it all for? The gladiators who fought hard are gone, both the winners and the losers. The lords who ordered the fights are gone, as is the audience which craved blood. The triumphs and the tragedies of the past are all gone. All for nothing. No winners here, only losers. I am overwhelmed with a sense of futility. My mood is desolate. I stare at the stones berating myself. Why did I not do better with my life? I was dealt a good hand; I was born to a good family, with sufficient wealth and a good ethical & moral sense. I was blessed with reasonable intelligence, an empathetic heart and good health. Why did I not do better? Why have I made no spiritual progress? Why did I make so many wrong and immature choices? Why did I give so much importance to what means little and little importance to what means a lot? If I could press a re-boot button, I would. That is what death and re-birth are about, isn’t it? But then one is dealt a different hand and we forget the lessons of the past – what guarantee that I would do a better job of it? I do not dare ask to be released from this cycle but if only I could remember next time that it is spiritual progress which is of true value, maybe then I would live a better, more meaningful life. And so I come upon my song choice for today. 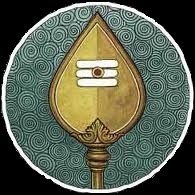 Pirava Varam Tarum says Papanasam Sivan, ‘Please give me the boon that I may not be born again. Even if I am reborn, give me the boon that I do not forget your divine feet.’ He seems to speak for me. ‘..bless me, so that the sins of the past are removed, so that my mental anxiety comes to an end’. See footnote for lyrics. Set to Raga Latangi, it does not sound as sad as I feel but still, the song speaks to me today. This raga is said to have curative properties, will it heal my troubled heart? To know more about the raga, click here. First listen to the song as featured in the film Nandanar (1942), sung by M.M.Dandapani Desikar. My favourite classical rendition of this song is by the violinist duo, brothers Ganesh & Kumaresh. This time Ganesh provides vocals as well as playing the instrument of which he is a veritable Master (I bow to your skills sirs!) The wonderful exploration of Raga Latangi following the kriti has a touch of genius. This is a 20 min rendition, do take the time to enjoy it. You can also listen to the track here. Notation is available here. I believe my translation is more accurate than what is given in this site. Please give me (tArum) the boon (varam) that I may not be born again (piravA) O Lord (pemmAn)! Give me (tArum) the boon (varam) that I may not be born (piravA) again on this (mIdu) earth (mAnila) . Even if I am born (pirandAlum) again (marubadi), give me (tArum) the boon (varam) that I do not forget (maravA) your divine feet (tiruvadi). O Beloved (nEyA) of Parvati ! O Support (sahAyA) of your devotees (bhakta)! Will my ties (bandam) never break (aRa = to remove) ? Please come (vandu) and bless me (aRul ta), so that the sins (vinai=evil deeds) of the past (mundai) are removed (kORa=killed), so that my mental anxiety (chintAkulam) comes to an end (tIra) and I can attain (tuNai sEra=join) your (un) lotus like feet (pAdAravindam), O my Master (endai)! Invocation. As a child I remember listening with fascination to my mother’s explanation of how God can be invoked into a Kalasha filled with water, topped with mango leaves and a coconut. Once the invocation is done, the Kalasha is worshipped as the Goddess. ‘God is everywhere’ my mother said ‘but when we invoke His or Her presence, divine energy becomes concentrated in an idol or a symbolic representation like a Kalasha’. Likewise an idol carved by the hands of men comes to sit in an altar somewhere and transforms from stone to God. What causes the transformation? Invocation. Just invocation. Human beings have invoked the presence of God from time immemorial using ceremonies of all kinds. But finally it is just a simple call ‘Come’. My song choice of today is the essence of invocation. Addressed to Lord Muruga, the poet-composer Papanasam Sivan says ‘Come and protect me’. He identifies the divinity he invokes by different descriptions but the repeated ‘vA vA’ are the words we hear the most in this song, ‘Come, Come’. Set to the beautiful raga Varali (click here for more information on this raga), this melodious supplication touches the hearts of all those who hear it. So how can Lord Muruga remain unmoved? Here below is an excellent version by Madurai Mani Iyer (1912-1968) , one of the most respected and celebrated vocalists from the first half of the 20th century. Oh Muruga, who lives in Pazhani malai, come to protect me. Come, O son of Shiva. Come, O Guha (the hidden one), who sits on Parvati’s lap. Come, O husband of Valli and Deivayanai. 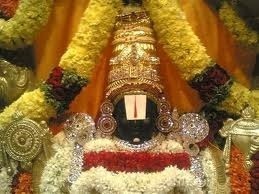 Come O Sharavana, the supremly kind being. Come, you who bestow light to remove the darkness of danger. Come, you who remove longing and sin, you the shower of kindness, who grew up in Pazhani. Come, you who give shade to protect me from the hot rays of intense longing, you who are the Guru of our community. Come, you who are the nephew of lord Vishnu, the one worshipped by Ramadasa, a gem like being. Everyday in households all over South India children would be setting out their Sruti box (drone instrument) after school and sitting down for music practice. Young voices would be raised, perhaps a bit off-key, to be kindly corrected by parents and grand-parents so that the youngster is ready for the next lesson. Violins would be squeaking in frequencies not suitable for human ears and the adults would manfully ignore the discomfort hoping that one day beautiful music is going to pour out of the same instrument. One song which will cross all thresholds during this period of training is Ninnukori, a varnam in Raga Mohanam (see footnote). Mohanam in Sanskrit means that which is pleasing, seductive. Mohan is the name of Krishna for He is the one who seduces all of us. ‘O Lord of the universe, I exist only because of my yearning for you. This is the time to take charge of me! Kindly show mercy upon me.’ Thus pleads the poet Poochi Srinivasa Iyengar (1860 – 1919) of his namesake. If you would like to know more about this raga, click here. Are you wondering why I am writing about so basic a song? I just chanced upon violinists Ganesh and Kumaresh’s ‘enhanced’ version of the song on youtube and I wanted to share it with you. I confess, I am not sure what to think of it! They stray too far from the traditional for me at times. Yet its really interesting to hear this very new treatment of this well-known varnam. What do you think? Click below to listen to a vocal version by Maestro Neyveli Santhanagopalan. As the swarams are sung for varnams, it is better to consult the notation here . O Lord of the entire universe, I yearn for you! This is the right time to save me! Show compassion on me! O Srinivasa! I pray to your discernable form! 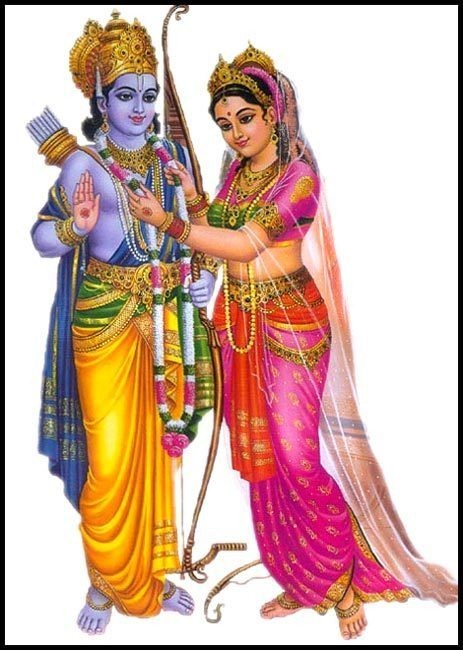 The story of Rama and Sita’s wedding has inspired many great poets and saints. In my entry for Kalyana Rama, I had the retold this story. There, the poet describes the beauty of Rama as groom. Today I have picked a song in which another aspect of the same story is explored by the another poet. Arunachala Kavi (1711-1779) was a Tamil poet who wrote the musical drama Rama Natakam. The music was composed by his disciples, Venkatarama Iyer and Kodandarama Iyer. This musical-drama contains 197 songs and 278 viruththams (devotional verse). From this. I present a song where the poet describes the emotions of Rama when he first sees Sita. Originally sung in Raga Saveri, it is nowadays rendered in the beautiful raga Bhairavi. To know more about this raga, click here. ‘Who can it be? What is her name? ’ Rama wonders on glimpsing Sita. ‘In this beautiful Mythila which abounds with clouds and wealth, who is this who stands in front of the ladies quarters?’. He is taken by the vision of Sita. ‘With her beautiful moon like face turned towards me, is she looking at me? Perhaps our relationship in a previous life is why she presents herself to me today’. This is not love at first-sight that the poet describes, but recognition at first-sight. Vishnu born as Rama recognises his consort Lakshmi born as Sita and the love that they have for each other from time immemorial resurfaces. In Hindu mythology, Lakshmi is said to reside in Vishnu’s heart and thus is inseparable from Him. For the complete song and translation, see footnote below. To present this song, I have chosen a rendition by the incomparable Sanjay Subrahmanyan. For me, it’s always a great pleasure to listen to him singing Tamil compositions. For an instrumental version of the song, listen below to this wonderful rendition by Ganesh and Kumaresh weaving their magic on the violin. I give below the complete composition and translation sourced from a Carnatic music discussion board rasikas.org (thank you, contributers!) and other internet sources. But I haven’t ever heard the full song being sung. Normally only the third charanam is sung. Srimati Vedavalli has said that this song should be sung as Aaro Ivar Aaro. However, I have chosen to follow the Yaaro Ivar Yaaro route for this post. Who can this be? What could her name be? I know not!! In this beautiful city of Mythila, where clouds and symbols of wealth abound, who is this standing in front of the ladies quarters of the palace? Her breasts appear as though they have been uniquely designed and installed in her body. She is surrounded by a band of friends with sweet chatter. In thought and appearance (complexion) she looks like the goddess seated on lotus, viz., Lakshmi. Who could it be? One must have earned a lot of merit to have the audience of this woman. To have that opportunity right here is really significant. She has striking eyes and nose. When other girls look at her they are so captivated by her charm that cannot take their eyes off her. With her moon-like face turned towards me, is she looking at me? A loving relationship from those times (a past life) brings her before me in these times.